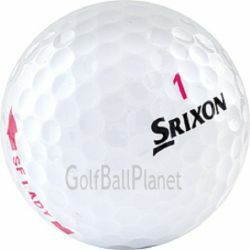 Soft Feel Golf Balls from Srixon. Increase your driving distance and enjoy unrivaled softness with SOFT FEEL, the soft distance ball that outperforms the competition. The numbers don’t lie. SOFT FEEL is longer, straighter, and has more stopping power than popular 2-piece balls from all major competitors. Srixon Soft-Feel Golf Balls are perfect for amateur golfers with moderate to low swing speeds between 90 – 105 mph.